It's time to be open about the dilemma parents can face when looking for a school in which their child will thrive, says Elizabeth Holmes. 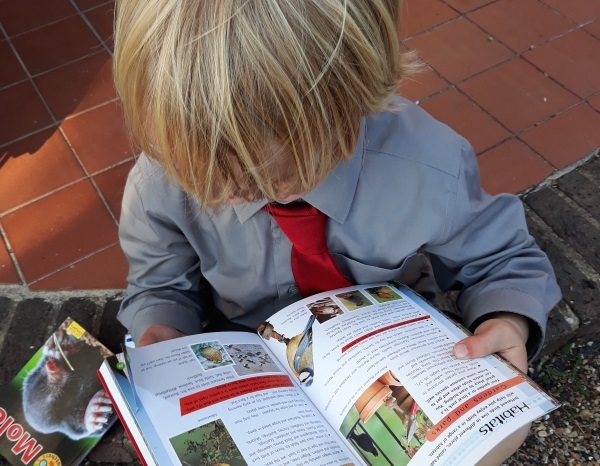 Back in April, I wrote about my son's imminent start at school and my concerns about what he might meet in the Reception year, given what I had read in Ofsted's Bold Beginnings report. As a keen lover of the outdoors and all he can learn there, my son would thrive in an environment where he was not restricted to an indoor classroom, and where learning was interpreted broadly, and in the healthiest possible sense; the kind of setting that would draw on the research in the Hundred Review. However, schools vary tremendously, possibly more now than ever before. The school my son was allocated by the local authority was about as far from what I wanted for him at this stage of his learning journey as it was possible to be. That’s not to say all parents would feel the same way about the school. Some would undoubtedly love it. But for me, it wasn’t just its overarching ideology, approach to the Reception year, and the physical space that children had in which to learn, both inside and out. There were other more general features of the school that did not sit well in this current school climate. This is perfectly acceptable. Schools cannot mimic each other – there are far too many variables at play – and so some differences will always exist between institutions. The hope is that parents will be able to find a school that suits and in which their child can thrive, feel a sense of belonging, and ultimately contribute to the wider school community. This hope, however, is dependent on the allocation of school places, especially in this time of immense diversity between schools. There may be the illusion of choice: parents are encouraged to view as many schools as they want to, to ask questions and to consider carefully whether the school would be suitable for their child. But if the school you choose for your child is outside your catchment area and is already substantially oversubscribed, the chances are you will not be successful, because where catchments operate, choice can be overridden and parent voice is not relevant. You will be allocated a school place and told your options if you are less than happy. If the school you are offered is philosophically some distance from what you are looking for (and we should be fully open about the vast differences that can exist between schools which are ostensibly offering the same curriculum) what choice do you have? You could go on a waiting list for another school, and this may suit some children, but in terms of preparing your child for the next step, meeting up with others about to start at the same school and enabling them to take part fully in the settling in sessions of the summer term, this is not ideal. If the school you are given is geographically distant, again, what choice, in the genuine sense of the word, do you have? With just a few months to go before the start of the new academic year, I began a month of sleepless nights. Do we go with what we are given, despite major concerns, or seek out an alternative? How realistic is it to switch schools in a local authority that is more challenged by funding cuts than most? Talking to local parents, I wonder how much longer this situation can continue. While many vocalise concerns about the devastating budget cuts and the decisions being taken in order to accommodate these, many locally seem to be incredulous that the current situation continues. One mother I spoke to said that the outcome of a tribunal regarding her son’s education was being ignored, while another said the exclusions at her daughter’s school were 'out of control'. The system relies on the support of parents. When they start to question what’s happening on a larger scale, talk to one another, and build bigger pictures than a single experience can offer, what might come next? If one school is not appropriate, and another school is not possible, opinion seems to be divided. Either seek a different school at all costs, aim to change the school from within, or make such a nuisance of yourself that change of one kind or another happens. But whichever way we might theorise about such eventualities, dealing with the reality brings things right down to the core question: where will my child thrive? Roll on three months and we have just come to the end of my son’s first month at school. I am utterly delighted, and surprised, too, by the pace of his progress. He seems to have 'got' reading and is immensely interested in all that he is learning and experiencing. It is very early days, of course, but he is whizzing through reading books at an alarming speed and undoubtedly gaining confidence when it comes to numbers. He regularly spends large chunks of the day outside with his classmates and is learning all kinds of things in addition to the curriculum for the Reception year. We did achieve a change of school at the last minute, but I did not expect to have to leave the state sector in order to do this.